Chevron constructed the complex more than 100 years ago, and since then the corporation has become a nearly essential part of the community. Chevron donated $3.4 million to local programs in 2011 and is the largest employer in the city (although just over six percent of their employees are Richmond residents). A Richmond middle school student was even featured in one of their recent commercials promoting science education. The refinery is also Richmond’s greatest source of tax money, and now Chevron is contesting its taxes for the seventh year in a row. On April 2, the County’s Assessment Appeals Board will decide whether Contra Costa owes Chevron a refund for its 2007-2009 property taxes. What’s more, cities and counties around the country, and even within the state, are also struggling through their own taxation issues with Chevron. Down the California coast in El Segundo, a city in Los Angeles County with about 17,000 residents, a similar battle is unfolding. 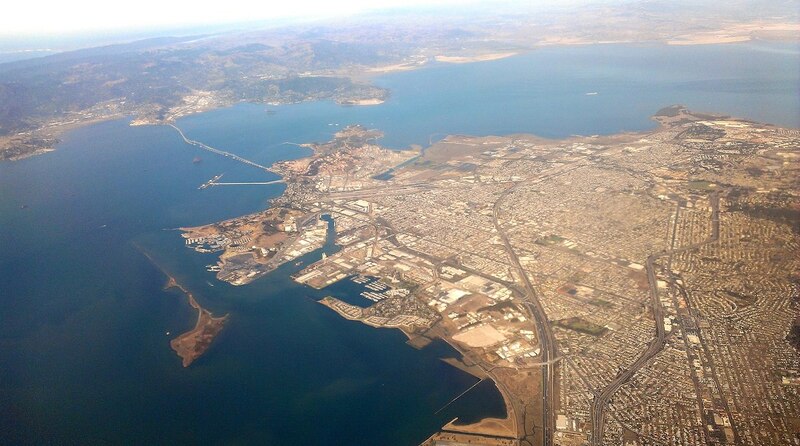 The city perhaps relies on Chevron even more than Richmond—it even gets its name, which means “the second one,” from the town’s refinery being Chevron’s second in the state. Much of the El Segundo City Council agrees that Chevron should pay $10 million more per year in taxes, raising the company’s taxation rates three times what it currently pays. But some residents are loyal to Chevron and think the tax hike is unfair. In Richmond and in El Segundo, the conflict over taxes is part of a larger debate: Financially, what should an industrial giant owe the communities where it lives? To answer that question, you first need to figure out the refinery’s actual worth, which isn’t simple or even apolitical. There are three ways to assess a property’s taxable value. First is the approach where foreseeable costs – called the “discount,” in economic parlance – are subtracted from the potential gross income. In the case of a refinery, this is the expected amount of money the refinery will generate. The second approach determines the taxable value by looking at how much similar properties have sold for recently. The third takes into account the cost of building the property from the ground up. Calculating the taxable value for oil refineries is a bit trickier than, say, calculating the value of an apartment building or a home. The fluctuation in the value of oil heavily determines the value of a refinery, as does the strength of the market, and these factors are difficult to predict in an unstable economy. So tax assessors will often use all three methods, giving more weight to the most appropriate, and then average the results to come up with a value. Until 2004, Contra Costa County Assessor Gus Kramer met with Chevron representatives every year to try and come up with a tax assessment number everyone could agree on. When differences came up – as they did, Kramer said, over things like the value of improvements to the refinery – the two sides would meet and talk it over. After 2004, the meetings fell apart. The reasons for this are vague. Chevron blames the assessor’s office while Kramer said he still met with Chevron but that the meetings were unproductive. Either way, the result was a newly contentious relationship that would bring the refinery’s commitment to its community into public debate. In 2005, Kramer raised Chevron’s assessment from $1.9 billion to $3.5 billion, increasing the amount Chevron paid in property taxes to Contra Costa County by more than $20 million. Kramer said that value is accurate and was based on a combination of all three assessment approaches. In a previous interview with Richmond Confidential, Kramer said the refinery made upgrades between 2002 and 2006 and took in record profits, increasing the value of the property. A Chevron tax representative based out of Texas said in hearings that Chevron based its most recent Richmond refinery property value estimate of $600 million — $2 billion less than the county’s estimate — on an attorney’s opinion. Kramer said this statement implied that the corporation did not rely on mathematical algorithms or expert appraisal values. While Chevron isn’t appealing its property tax assessment in El Segundo, it is fighting to prevent the city council from raising its tax rates, and the city has a history of going along with the corporation’s wants. The Los Angeles Times recently reported that records from the 1990s demonstrate that El Segundo officials disregarded a preliminary audit showing Chevron owed up to $9.5 million in back utility taxes. What’s more, the Times reported, city leaders capped Chevron’s gas taxes at $150,000 per year, far less than what auditors speculate Chevron should pay. Chevron representatives told Richmond Confidential reporters that the main goal of the appeal is to establish a fair and consistent refinery valuation for future years. If the appeal board sides with Richmond, Contra Costa County might be required to refund up to $73 million. While this appeal represents about 0.26 percent of Chevron’s profits in 2011, the refund would have serious impacts on Contra Costa County. Chevron has appealed its taxes each year for the past seven years, but appeals are taken into consideration in three-year increments. Last July, the appeals board awarded Chevron $18 million for 2004-2006. About $400,000 came out of the Richmond city budget. If Chevron is awarded its current appeal for 2007-2009, County Supervisor John Gioia told Richmond Confidential reporters that “the consequences of the appeal would dramatically affect the ability to provide services in [the] county and Richmond.” The city’s share of the maximum appeal could total over $9 million. The tax refund would mean cuts to the library, school, fire and police services, among other departments. And for the city, that’s not the worst-case scenario. Twenty-two Contra Costa cities and fire, park, and sewer districts are challenging the county’s refund-distribution formula in court, claiming they should not have to pay a significant amount of the refund when Richmond is the main benefactor of the property tax. If these cities and Chevron win in their respective cases, Richmond could owe Chevron more than $100 million. Chevron may donate millions to local programs each year, but Langlois argues that, if they really want to help Richmond, the company should drop the appeal. “If they want to give, that’s fine, no problem. But don’t take away at the same time,” she said. If the courts rule in Chevron’s favor, there’s a chance that Chevron will accept the change in its yearly tax rates but decide to forgive the refund. Chevron representatives were contacted on March 15 to comment on this possibility and other issues but, as of March 28, Richmond Confidential has not received a response. Richmond Confidential reporters Rachel Waldholz and Alexis Kenyon contributed to this story. Great reporting guys. This is the biggest story in Richmond right now and you’ve done a better job that most local papers (well such a thing doesn’t really exist anymore) of clearly laying out the facts and telling the story. I’m sure it will continue to evolve and hope you’ll report as it does. Great story. Chevron, one of the richest corporations in the world brags that it’s been in Richmond 100+ years and just look around our city. Do we have a world class school system, a delightful urban environment, healthy, joyful, politically engaged residents? No! and Chevron likes it that way. Likes telling us when to breathe and how to vote. No! the big wigs are a ruthless, soulless, bunch of greedheads and everyone knows it, but is too afraid to peep. Of course, when your profits go up, up, up on your commercial property, your taxes go up. Duh. They are not even the largest employer in our city. (Reporters take note.) That’s another one of Chevron’s self-promoting myths. Kaiser-Permanente Hospital and Clinic and the West Contra Costa Unified School District both employ more people (I checked), and I bet more of them live in Richmond, too. Don’t we admire consistency? Chevron treats us exactly the way they treat every other country in which they operate. Check truecostofchevron.com to read about Chevron’s “generosity” in Ecuador, Burma, or Kazakhstan. And don’t you just love the way they share those immense profits with us at the pump? Or is it the other way around? Trickle down, my patootie. Thank you for an informative story. I would hope that many residents of Richmond and Contra Costa county get involved in this – whether online through social media sharing or in the streets at Chevron’s office. Shame on Chevron. The notion that Chevron is going to move, or use the threat of moving to gain leverage is absurd. Does anyone really think Chevron will find another location with convenient bay/ocean access which will let them build a refinery? How many communities will tolerate those scenic tanks and steel monstrosities on such prime waterfront real estate? And let’s not even mention the toxic pollution which goes hand in hand with a refinery. Can anyone say “Superfund Site”? Don’t give an inch to Chevron. They care nothing for people or communities and live only for profits and executive bonuses. Hold their feet to the fire and make them pony up their fare share. If they really want to move, they can clean up their mess and I’m sure that area will support some nice housing developments with decent property taxes for the city which houses them. Chevron can only push a city and people so far…Even its ‘charitable bribes’ will not be enough to keep us down. Rotten smells and rotten actions from a rotten company.